Everyone knows that if you query poets about how their poems begin, the answer is always the same: a phrase, a line, a scrap of language, a rhythm, an image, something seen, heard, witnessed, or imagined. And the lesson is always the same, and young poets recognize this to be one of the most important lessons they can learn: if you have any idea for a poem, an exact grid of intent, you are on the wrong path, a dead-end alley, at the top of a cliff you haven’t even climbed. This is a lesson that can only be learned by trial and error. That was Mary Ruefle, in her essay “On Beginnings,” in her book, Madness, Rack, and Honey. Although our nonwriter friends probably come up to us and say, after a raucous night out on the town, “Oh man, that would make a great story,” we recognize that it probably won’t. At least not yet. That evening may appear in a poem somewhere down the line, or as a scene in a short story, but it cannot be something we set our sails toward, sad as it is. Mary Ruefle is one of my favorite poets. 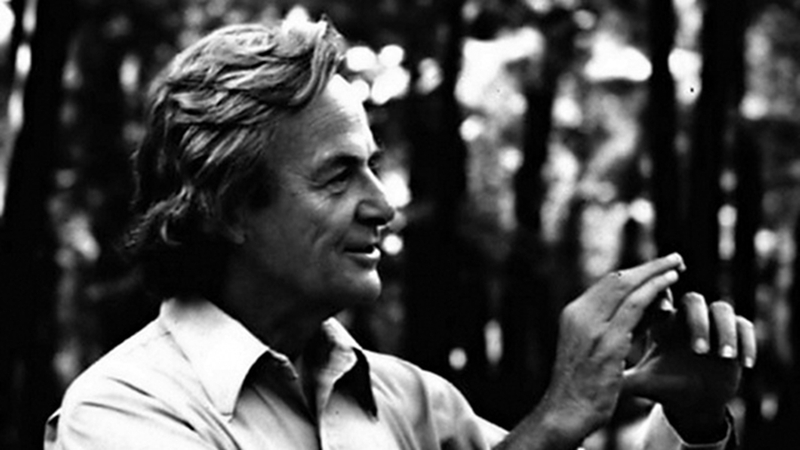 Richard Feynman is one of my favorite scientists. Besides working on the Manhattan Project, he delivered a series of famous lectures on physics–see Youtube–and discovered the O-ring failure on the space shuttle Challenger. There exists a lovely book, called The Pleasure of Finding Things Out, which is more or less a transcription of a few of his interviews and talks. Here are a few tidbits from “The Role of Scientific Culture in Modern Society.” I think they align themselves well with Mary Ruefle’s claims for writing. the matter of judging evidence–well, the first thing really is, before you begin you must not know the answer. So you begin by being uncertain as to what the answer is. We absolutely must leave room for doubt or there is no progress and there is no learning. There is no learning without having to pose a question. And a question requires doubt. People search for certainty. But there is no certainty. People are terrified–how can you live and not know? It is not odd at all. You only think you know, as a matter of fact. And most of your actions are based on incomplete knowledge and you really don’t know what it is all about, or what the purpose of the world is, or know a great deal of other things. It is possible to live and not know. you really don’t know what the poem is all about, or what the purpose of the poem is… It is possible [or even necessary] to write and not know. That just about sums it up, wouldn’t you say?